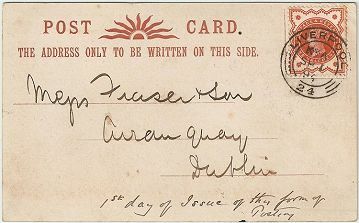 The first postcards with imprinted stamps were issued by the Austrian postal administration on 1 October 1869 based on a proposal by Dr Emanuel Herrmann, but ultimately on an idea of the great German postal innovator Dr Heinrich von Stephan – an open communication sent at a special, cheap, printed matter rate without any additional fee for the actual card. Wary of loss of revenue the British Post Office was not in favour but the public were enthusiastic about the new idea. Exactly one year after the Austrians Britain issued its first card imprinted with a ½d stamp of new design. It came in two sizes both sold at the same price of one ½d. Some 575,000 cards passed through the London Chief Office on the first day (1 October 1870) and in the first full year 75 million were posted. This popularity, and the resultant extra work in cancelling postcards, had been foreseen. 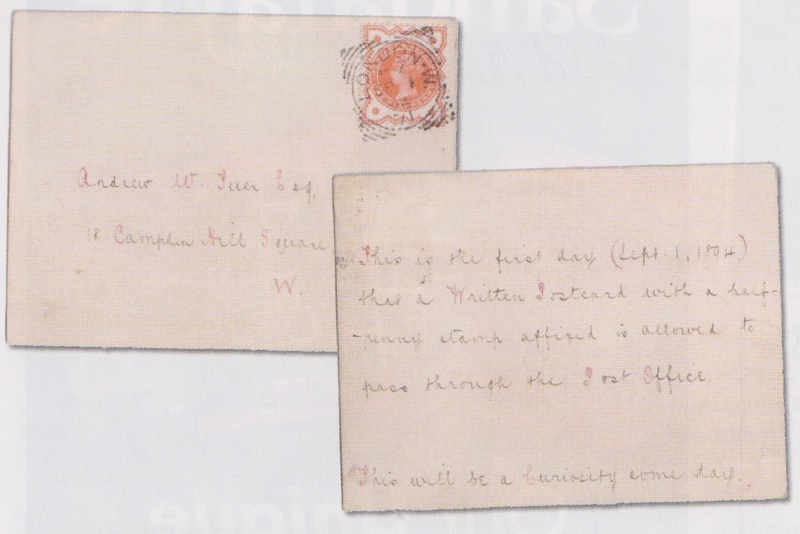 In a Circular of 10 October postmasters were informed “The postage stamps on some of the Post Cards will be obliterated by means of a punch instead of by the ordinary obliterating stamp. 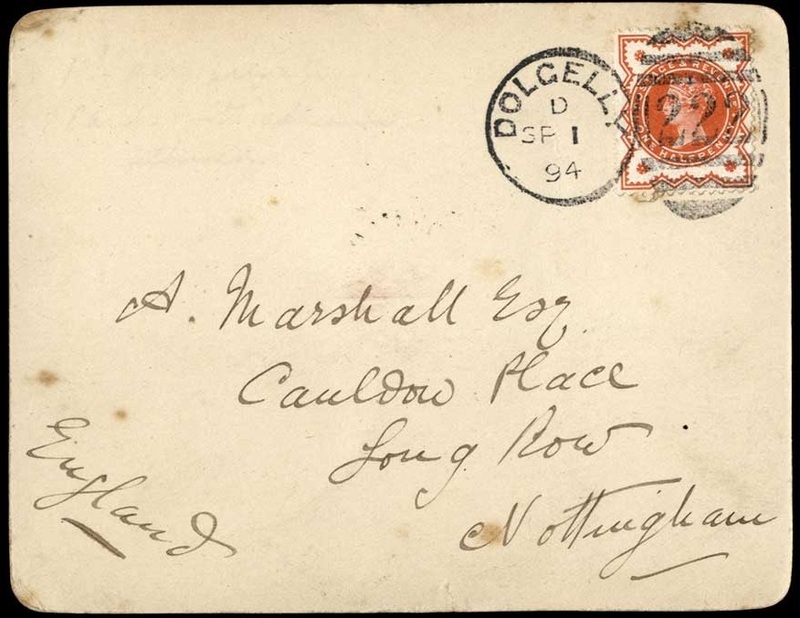 Postmasters will not tax such cards with postage on this account.” Only a few very large offices were affected by the volume of cards. In London the punch cancellation was of perforated holes in the form of an orb and cross, with an earliest known date of 22 November. This punch had been supplied by Joseph Sloper whose machines already perforated Money Orders with a date. It was trialled in different formats in London and Liverpool and in June 1871 four machines were ordered (three for London and one for Liverpool) at a cost of seven guineas each. Other methods of punching the cards included clipping (Manchester) and single central holes (Birmingham, Edinburgh, Liverpool and Bradford). This use of punching ceased in 1876. 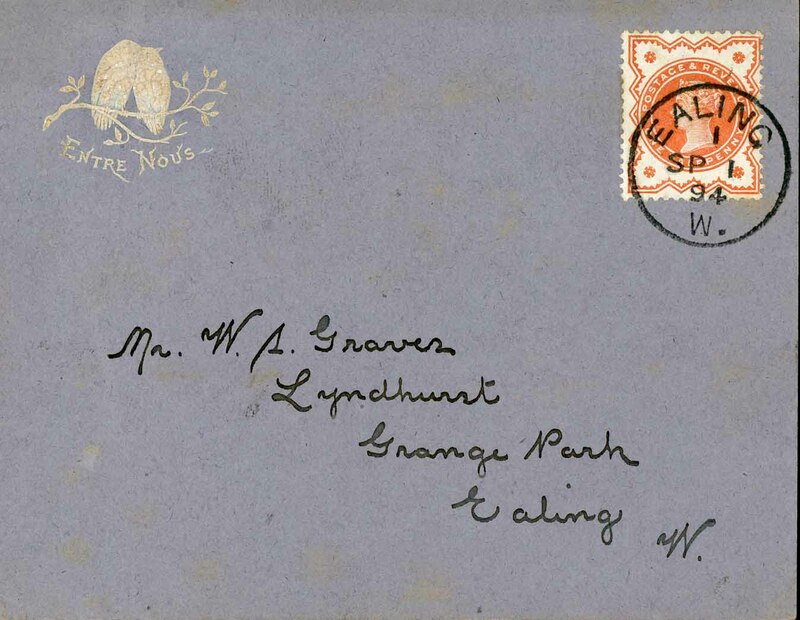 Over the years new versions of cards were introduced: private stamped to order, foreign and reply-paid and from 1 September 1894 adhesive postage stamps could be affixed to private unstamped cards. 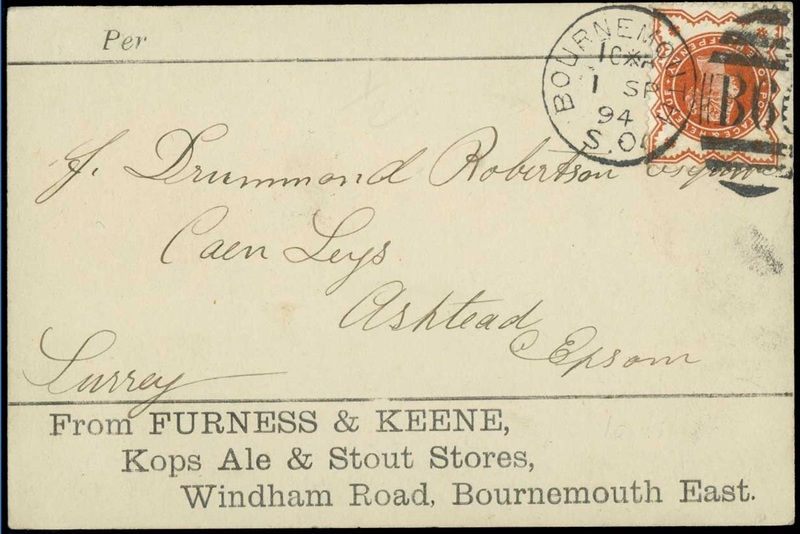 This relaxation of the regulations also tacitly allowed private manufacturers to print an illustration on the reverse of the address side. Initially, this illustration was relatively small to enable a message to be incorporated. Already well known on the continent this form of holiday souvenir proved extremely popular and the number of cards posted soared. By the end of Victoria’s reign over 400 million were sent annually.